What Does Election Day Mean For The Coyotes' Future In Arizona? Voters in Glendale, Ariz., had the chance to repeal a sales-tax hike, and they rejected it soundly. This is wonderful news for those Arizona residents who hope to keep the struggling Coyotes in town (pictured above: typical Arizona resident). 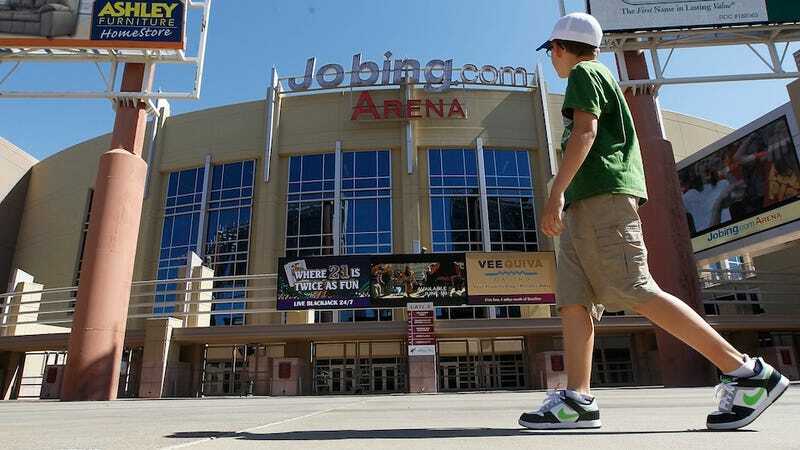 Though the team is temporarily owned by the league, the city has pledged $50 million over the last two years to operate the Coyotes and the Jobing.com Arena. The tentative agreement with prospective new owner Greg Jamison would have Glendale paying him $320 million over 20 years. But Glendale simply doesn't have that kind of money. Glendale is facing a massive budget shortfall, and a hockey team seems almost secondary. If Proposition 457, which was voted down by a 2-to-1 margin, had passed, city leaders warned of the necessity of backbreaking cuts to crucial services. Nearly 15 percent of police would have to be let go, 17 percent of firefighters, more than a quarter of the parks' and libraries' budget slashes. You know, all the things that make a city more livable than an NHL franchise can. Worse for the Coyotes, local politicians had explicitly framed the issue as either-or—the Coyotes, or a functioning municipality, but not both. "Glendale is not your cash register."